Core & Coil can be purchased and used for OEM integration. OPAL™ Series low-voltage transformers are optimized to deliver up to 50% less losses than DOE 2016* minimum efficiency requirement. For over 20 years, Powersmiths has been engineering and manufacturing the highest quality and highest efficiency transformers. 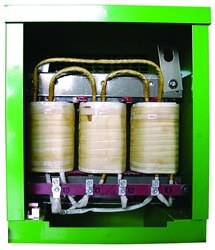 Powersmiths’ Core & Coil are the source of energy savings in all our transformers and PDUs.